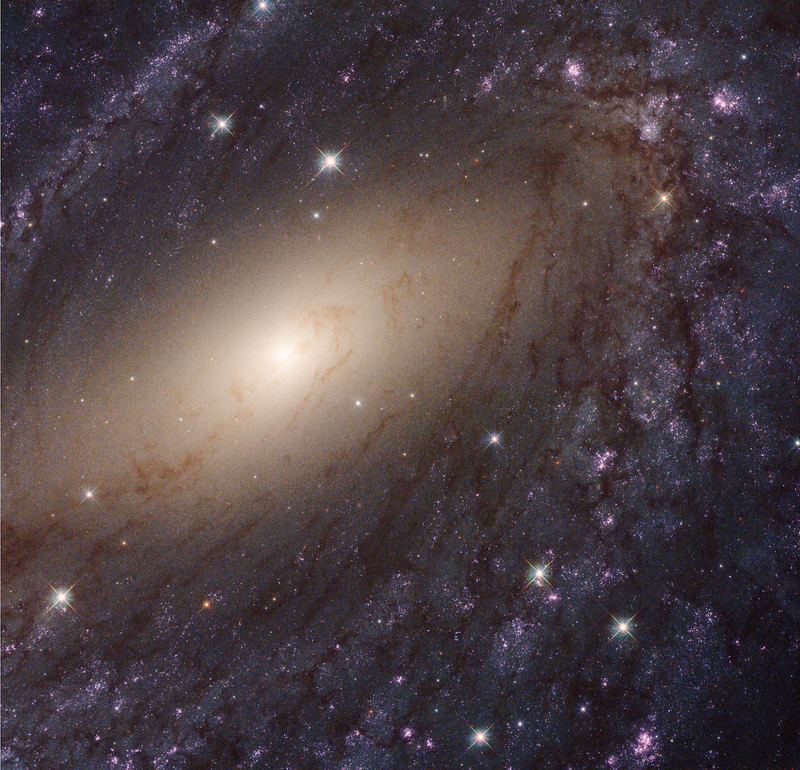 This image shows the galaxy NGC 6744, about 30 million light-years away. It is one of 50 galaxies observed as part of the Hubble Space Telescope’s Legacy ExtraGalactic UV Survey (LEGUS), the sharpest, most comprehensive ultraviolet-light survey of star-forming galaxies in the nearby Universe, offering an extensive resource for understanding the complexities of star formation and galaxy evolution. The image is a composite using both ultraviolet light and visible light, gathered with Hubble’s Wide Field Camera 3 and Advanced Camera for Surveys.